It all started in 1882. 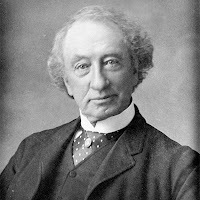 Canada had only been around for 15 years, but Sir John A. Macdonald had already been Prime Minister for ten of them. He'd only lost one election — the one right after the Pacific Scandal. He and his Conservatives had taken a MASSIVE bribe from a railway tycoon in return for promising to give him the contract to build the railroad across Canada. And then they'd spent the money on bribing people to vote for them. Macdonald resigned in disgrace and got crushed in the next election. But a few years and one recession later, he was back in power. And with Toronto proving to be one of the key battlegrounds in federal politics, his supporters decided to start a brand new club in the heart of the city — somewhere where right-wing businessmen and politicians could come together, get drunk and plan their campaigns: The Albany Club. The super-exclusive gentlemen's club was named after Queen Victoria's eighth son — the epileptic hemophiliac Prince Leopold, Duke of Albany. He was pretty famous back then and had recently met Macdonald and other high profile Tories on a trip to Canada. The club immediately became a secretive swank-fest of cigars and smoking chairs and brandy and oak paneling and alcoholism — a place for rich white guys back in the days when rich white guys were pretty much the only people allowed to vote. And it was for Tories only. That was kind of the point, right there in the bylaws: "No person shall become a Member of the Club unless a Conservative.” Those are their italics, not mine. At first, the Albany Club was in a building on Bay Street, but before the 1800s were over, it had moved to a spot on King just a couple of blocks east of Yonge. There's an old stretch of buildings there — Victoria Row — built all the way back in the 1840s by one of Toronto's earliest architects: John Howard, the same guy who gave High Park to the city. The Albany Club is still there, like it has been since 1898, quietly serving as one of the powerful headquarters of Canadian conservatism. And I do mean quietly. "We nurture our exclusivity and with that our privacy," the club's website says. There's no big sign outside the building, just a discrete "AC" emblem. "Nobody but an archaeologist accustomed to ferreting out old important things in secret places ever could discover the Albany Club," the Star wrote in 1921. Even the building's historical plaque is mounted inside the entrance, where only members and guests can see it. There was a time when all the political parties had clubs like this. A few blocks away on Wellington, the Liberals had the Ontario Club. The Canada First Party had the National Club on Bay. But now, even the clubs that have survived have dropped their political affiliation. The Albany Club is the very last old school political club in Canada. Every single Conservative Prime Minister from Macdonald to Mulroney has been a member of the Albany Club. And every single Conservative Premier of Ontario, too. Stephen Harper and Jim Flaherty and Peter McKay and Jason Kenney and Jim Prentice and Maxime Bernier have all given speeches there. So have Tim Hudak and Hazel McCallion and Preston Manning and Christie Blatchford and Rex Murphy and David Frum. John Tory was the President of the Club for a while. Tony Clement is on the Board of Directors. So is Peter Van Loan. And Janet Ecker. And Denzil Minnan-Wong. And a whole bunch of lobbyists. In fact, they all got in a bit of trouble last year when Harper's government invited the Albany Club to host a private reception on Parliament Hill. Conservative politicians and registered lobbyists all got to hang out — and since it was a private party, they didn't have to worry about all those pesky lobbying laws. For its part, the club is happy to admit the role it plays in the running of our country. "We believe in conservative values," the website says. "We will assist the conservative movement by being the forum for public policy discussions and decisions." This time, those are my italics. There is at least one conservative politician who has publicly distanced himself from the club. In fact, that Rob Ford publicly distanced himself from them as part of his whole man-of-the-people shtick. "It’s not Bay Street or the Albany Club that's behind me," Rob Ford claimed during the last municipal election as part of his man-of-the-people shtick. "It’s Main Street." Which hints at just how deeply the Albany Club is an entrenched part of Conservative power politics in Canada. The Albany Club was part of Doors Open a few years ago. You can see photos from inside here. There's Sir John A. memorabilia all over the place. You can learn more about the club's history on their website here. Their original bylaws are here. Read their historical plaque here. You can learn more about the Ontario Club here and the National Club here. The Albany Club also does stuff like teach children proper table etiquette. Harper's Conservatives were investigated and eventually cleared by the Conflict of Interest and Ethics Commissioner for that private function on Parliament Hill. Because, amazingly, "There is no section in the Conflict of Interest Act that deals specifically with relations between registered lobbyists and Members of Parliament." The Hill Times has the full story here. Adam Bunch, the Editor-in-Chief of the Little Red Umbrella and the creator of the Toronto Dreams Project. You can read the rest of his posts here or follow him on Twitter here.